Card Health Care's patented quality products are very well known across the Home Health Care sector. These premium mobility products are developed in conjunction with the Toronto Rehabilitation Institute and with the Center for Studies in Aging. 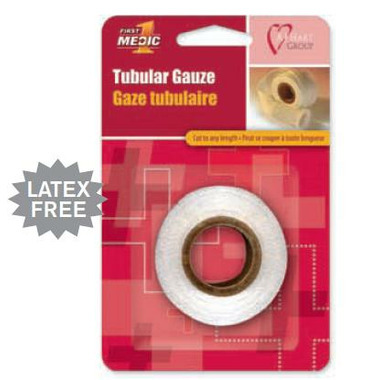 This gauze is great for covering up burns or awkward shaped cuts on your finger. It is very easy to apply - simply cut to double the length of your finger, then place the gauze tube over the finger ; pinching and turning the remainder to fold back over the finger and then securing the bottom with tape.